Went out to Tofino last weekend with my girlfriend, Jen. She was kind enough to take a few photos and shoot some video of me surfing. 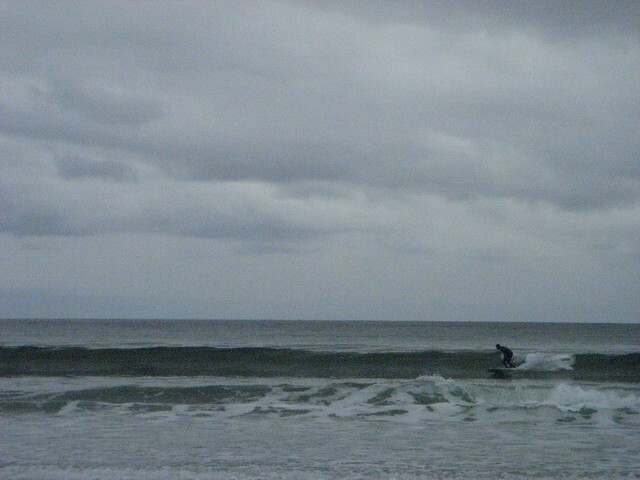 The waves were small and I was kooklike as always. But it was great to be out there. Sunday was small, with light offshore winds. Perfect for loggin’ had a blast. Somehow this picture makes it look like I know how to surf. Ha! Seemed like I was having as much fun as anyone else out there on Sunday. Maybe not. Tofino really feels like the end of everything and also the beginning of a lot of potential adventure. From there the surf/kayak options become endless and there are well documented waves everywhere on that coast thanks to the Bruhwiler/DeVries folks. I’ve been on one trip and am ready for more. Anyone interested in a month of self propelled travel and surfing in bear country? Drop me a line.